A tribute to the nomadic soul at the Erie Insurance Arena. This ain't your mamma's circus. Cirque du Soleil, known for an otherworldly blend of high-styled acrobatics, exotic costumes, and fairytale story telling, brings to Erie Varekai, the story of a young, vulnerable Icarus who finds himself in a lush forest full of fantastical creatures, rather than perishing in the sea after flying too close to the sun. Varekai takes him, and us, through this world filled with breathtaking aerial displays, death-defying acrobatic stunts, Icarian games (human juggling), a clown act, Eastern European dance, and more, all wrapped up in powerful, world-beat music. 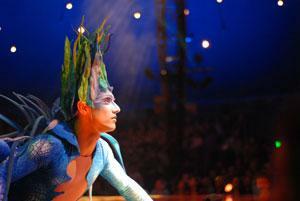 Aug. 13 to 17 // Erie Insurance Arena 809 French St. // Box office: 452.4857; CirqueDuSoleil.com/Varekai.